ROEL is a private Romanian company engaged in the research, development, design, manufacture and distribution of electronic security equipments of all types and complexity. 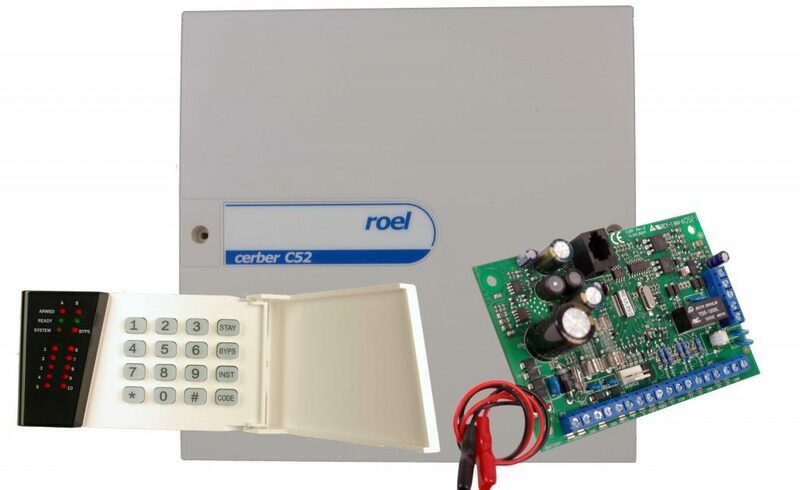 ROEL is also engaged in OEM system manufacture of electronic equipments for the security industry as well as for a wide spectrum of industrial applications. Over the 25 years of active presence in the security industry, the company kept its high standards of quality, constantly investing in research & development and following technology trends. The high quality of its products and the impeccable customer service represent the main competitive advantages of the company. ROEL is also concerned with environmental issues and the health and satisfaction of its employees. In accordance to these values, the company has the following certifications: ISO 9001, ISO 14001 and ISO 18001, all of them issued by Romanian Society for Quality Control (SRAC). Owning wide engineering and design capacities, ROEL engineers and customers put their heads together in order to develop products, for product design, productivity and feasibility purposes. Along with design resources involved into product development, ROEL engineers keep themselves informed with the latest production technologies. ROEL holds the best layout possibilities for PCBs with one, two or multi layers. The hardware design and the software generation are joint together by the wish to provide the most economic and impressive design. The software may be simulated, coded in Visual C, C++ or Assembly language, according to the system’s requests. Thanks to its highly qualified engineers and its technologies, the company manufactures competitive products for customers active on national and international markets. Having cooperated with specialists in the PCB and component production, ROEL has acquired high knowledge, thus production becoming more flexible and products more competent. ROEL makes original designs, can remake a design and even suggest most advantageous ways of production. Siemens “pick & place” equipment measures the RLCD components before the SMT procedure for product reliability increasing purposes. ROEL team of trained and equipped technicians performs testing and detection of technical faults (in all analogue, digital, low or high frequency range, radio frequency included). Testing is both hard and soft performed. Circuitry-level functional testing allows fault detection, which may not be noticed during a visual inspection. Quality of products and services is the result of the mutual effort of the entire organization, who implemented the quality management system according to ISO 9001. ROEL commitment to support the entire product life cycle goes beyond production and distribution. ROEL electronics has a Service Department, whose personnel is widely experienced and highly qualified, providing the technical support necessary to service quality and performance improvement. Products benefit of guaranty, service being assured both within the guaranty period and after it. With have more than 25 years of experience in designing, producing and distributing electronic security systems. ROEL is a private Romanian company engaged in the research, development, design, manufacture and distribution of electronic security equipments of all types and complexity.